Welcome back, dear readers! The Passage re-opens with a celebratory pearl post. Over the summer, I visited Joanie, a wholesale pearl dealer in Montréal. She asked, "How did you develop your interest in pearls?" Today, a visual version of my answer: the pearl-paved path from infatuation to enduring love, and several new pairs that might appeal to you. I told her how my beloved friend, Missi, the daughter of a fine jeweler in Honolulu, introduced me to their allure when I was about 35. She loaned me a pair of pearl chandeliers, and I felt a tug handing them back. The hook was set. For my fortieth birthday, my parents invited me to chose a piece of jewelry. 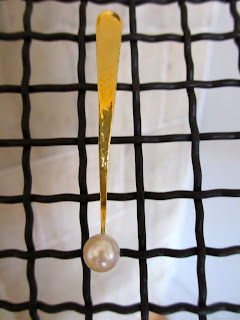 I visited the Toronto jeweler Beni Sung; in his tiny salon, I found a display of at least fifty pearls, displayed on hatpin-like individual stands. My choice was a pair of subtly mismatched South Sea mabé pearls with incredible lustre and iridescence. The price was around $1, 200, so I began at the higher end, an act that was hard to follow on my own dime. Sung's knowledgeable, patient staff took time to explain the full range of pearl varieties; I barely knew fresh from saltwater. They also cast a spell, though the next pearls were a few years away. Le Duc gave me gold and pearl earrings for an anniversary; these are classic 8mm round white Akoyas, showcased by the design by Artworks Gallery, Toronto. 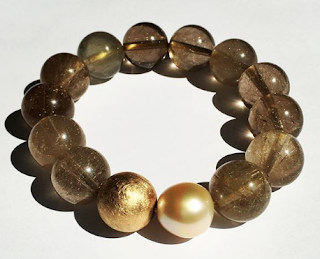 I love iridescence and colour; pearls do not have to be round and smooth to show their spectacular hues. For example, here are a pair of Japanese Kasumi dangles made by Québec jeweler Celine Bouré of Kokass; the price was around $275. I would avoid the too-safe and generic, and look, rather, for the natural essence of the pearl, in a good grown-woman size; depending on your build, I'd say from 8mm to way way up. 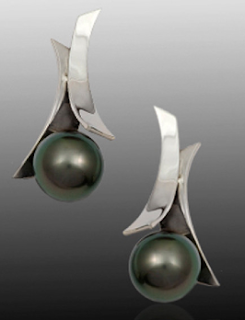 Adam Neeley "Fiore del Mare" 9.5 mm Tahitian pearls set in 14k; price, $1, 980. 9.9 mm Sea of Cortez pearls with imperial topaz earrings, set in 14k; Kojima Company; price, $810. Blue South Seas, don't see these often (and they are now sold out, so contact PoJ to request news of resupply): 10-11mm natural-colour blue South Sea baroques set in 14k yellow or white gold; price was $459 at Pearls of Joy. eBay is still worth a browse, especially if you find a vendor with a return policy. Approach it like a yard sale where you might occasionally score a treasure. 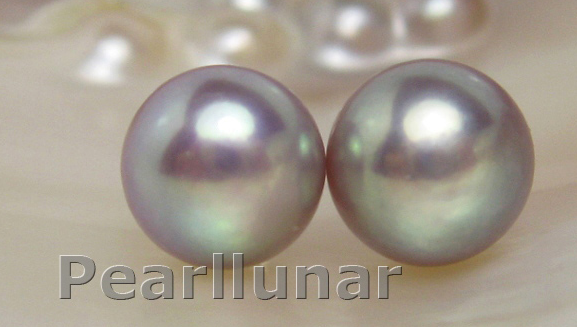 I recommend a Chinese seller, pearlunar, who is not the cheapest, but whose pearls are reliably as shown or even better. For example, these 9mm natural colour smoky lavender 'fat button' studs are set in 14k; price $70 with free shipping. He will also make a pair with larger posts and backs. When I was a teenager, pearls seemed to me the most sophisticated jewelry in the world. I asked for a pearl necklace for my 21st birthday, and my parents, who were not blessed with an abundance of cash (my dad was career military), bought me a choker strand of Mikimoto pearls. I wore them with everything - pearls do go with sweatshirts, you know! I felt so elegant. 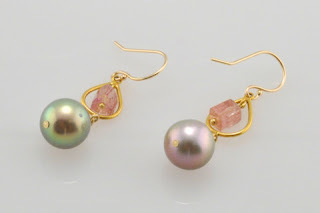 For years after that, I wanted some mabe pearl earrings, but, like you, could not find it in my budget. Maybe that's what I need to ask my husband, who bought me a strand of black pearls for our first Christmas together, to get me to round out my jewelry wardrobe. As my usual gift requests are for things like a heated toilet seat or a belt sander, I think he would like to get me something a little more romantic. There are a few more pairs on the site. Note that all pearl-forming molluscs make mabés (I have a post under the "pearls" menu on them); however, the rainbow shimmer of Sea of Cortez pearls make the most spectacular ones. And should you fall in love, please tell us what you chose! Duchesse, you've inspired me to pull out my gold keshi dangles to wear today! 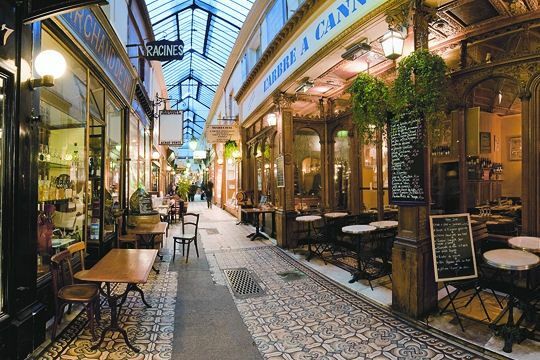 It is a pleasure to be able to read your blog again on Tuesday and Thursday mornings! Since I began reading your blog, I have grown more knowledgable about pearls and appreciate their value to a higher extent. I love working with them in making jewelry (freshwaters on leather cords are my latest passion) and wearing them. Thanks for the Ebay reference. I have found that thrift shops sometimes have great bargains, such as a 72" freshwater strand with quite large beads with lots of lustre, for $5.00. I had intended to cut it up to reuse the beads, but found it is so beautiful I left it as is! I also found a bracelet for $2.50 that even Christine L. would wear with pride!!! Your "Unprissing Your Pearls" posts have been inspirational. GOOD DAY DUCHESSE.................I am the CONTESSA so we have a title or TWO in common!I think YOU out RANK ME! I have joined YOUR CLUB! Perhaps stop by and say CIAO TO ME! !I may amuse YOU.............you will have to see! I always love seeing your pearls, it's good of you to share. You looked wonderful in the photo on the way to the wedding. 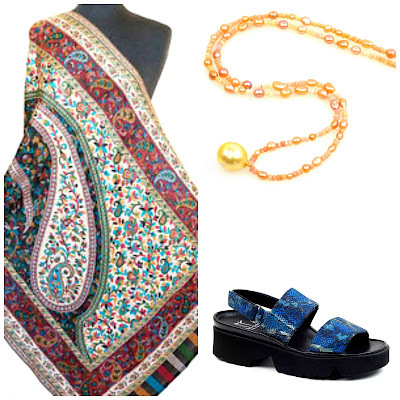 une femme: I have really enjoyed watching you add more pearls to your wardrobe! Kirsten: What luck, phenomenal bargains. Contessa: You are no doubt aware that in online text, caps usually indicate SHOUTING. So, thanks for the shout out and I have dropped by your blog and will return; many topics near to my heart. I am commenting and reading less as time goes by, because my body won't tolerate much time inert. Oh happy pearl post. So nice to have you back. Good morning, Duchesse, I have enjoyed your blog over the past few years and am always glad when you resume in the fall. Any suggestions for who might restyle a pair of mabes I've had for probably 40 yrs now (wow!) which are set in plain gold bezels and which I find boring. Your settings are beautiful and modern! Thank you. They are often glued into the setting, so I would keep them in that bezel and work from there making, for example, hanging drops of mabés. 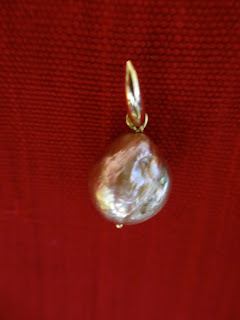 The coral dangles began life like your mabes (as coral in a bezel) and the jeweller added the sapphire and pearl. 3. There are many other options. Consider the bezel-set mabés as your 'base' and search/collect photos of earrings you like- they need not be pearls. This will help solidify your wishes and give the jeweller a clear idea of what you like. I especially like Twist because the pieces shown are from talented artisans, shown on one site. 4. 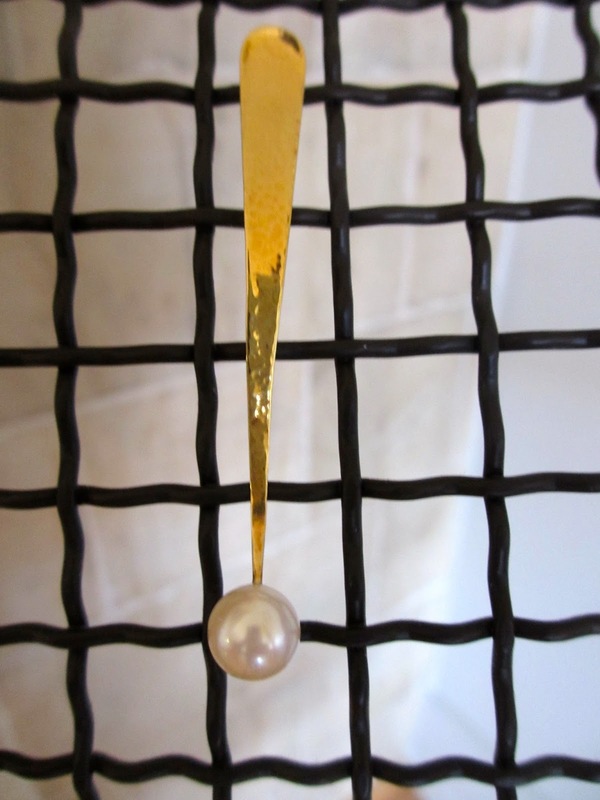 Finally, a comment about the condition of the pearl: Just like a home reno, some restyling ends up costing more than the original- but if your mabés have notable iridescence (like mine still do) or hold sentiment for you, it is worth it to give them new life. 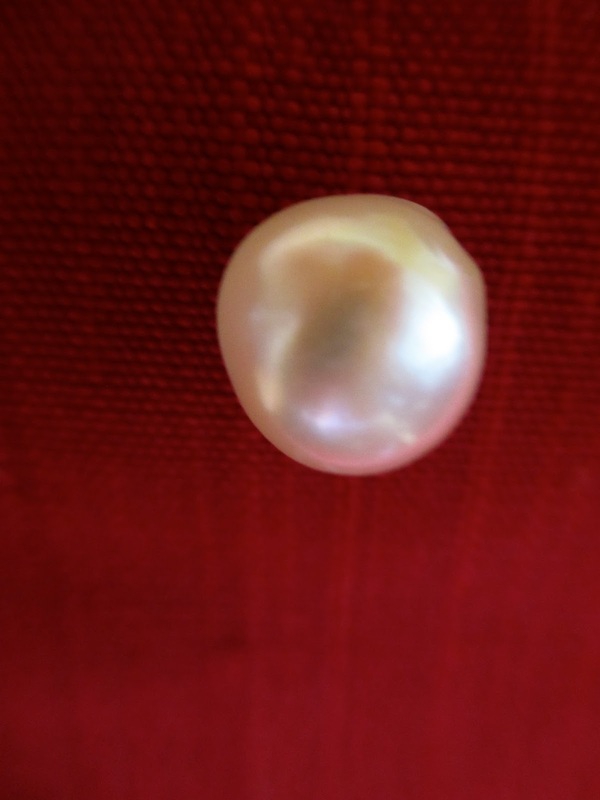 If they are, after 40 years, dull, or were never beautiful pearls, I would only recoup the gold and sell it or recycle it into new earrings. If you do reno, oh how I would love to see what you do! Thank you for your speedy reply, Duchesse. I am not at home this week so no photo possible right now but the pearls are gorgeous. High lustre and amazing iridescence. I worked for a very experienced wholesale diamond and gem merchant in Miami when in my 20's and he picked them out, then a skilled jeweler made them for me. They have a post and omega clip (think that's the right lingo if memory serves!). Perhaps when I get back home I'll photograph them and send along to you. I'll also look at the previous posts you mentioned and begin to look for other images as inspiration. I will certainly send a photo if they're restyled! Thanks again for your swift and extensive advice.